FlexJobs has released its annual list of the Top 100 Companies to Watch for Remote Jobs in 2019. 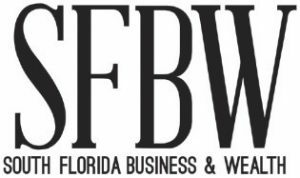 Two South Florida companies made the list, Kaplan of Fort Lauderdale and Ultimate Software of Weston. Kaplan ranked No. 30 on the list. It is a for-profit educational institution with more than 300 locations in over 30 countries. Kaplan employs more than 19,000, often with flexible work arrangements, such as part-time and remote jobs, FlexJob says. Ultimate Software ranked No. 98 on the list. The company specializes in human capital management and serves more than 3,700 clients across 160 countries. The company advocates for work flexibility with 35 percent of its 4,000 employees working from home full-time, while the remainder of its team can work out special schedules with their managers, such as working from home on Fridays, or working from home after 1 p.m. each day, Flexjob says. FlexJobs looked at its database of 51,000 companies and their remote job posting histories to identify the top 100 companies with the highest number of remote job openings during 2018. To be considered, the jobs had to allow candidates to telecommute entirely or partly. Remote jobs in sales have increased, surpassing education as the third most represented career field on the list. The health care and computer/IT industries continue to offer the most remote-friendly jobs, with sales and customer service remote jobs also are in high demand. Overall, these 100 companies represent more than 15 industries and are headquartered across 11 different countries.